Director Scott Mann has remade the Jean-Claude Van Damme movie Sudden Death but he seems to be completely unaware of it. 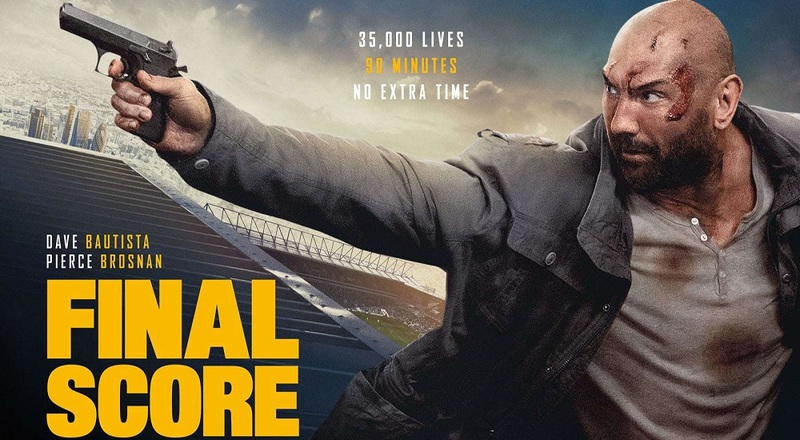 The movie titled Final Score sees Dave Bautista as a man caught in a stadium when terrorists attack. The irony here is that no one involved realizes that they lifted the entire idea for Final Score from Sudden Death. The only distinction between the two is that one takes place during a hockey game and the new one happens during a soccer game (yea I said soccer, not football you goddamn weirdos). Now how could the fact that this exact movie already exists be lost on everyone involved with the movie? No idea, but this quote from Bautista should really drive home how clueless he and all involved are. Final Score was tons of fun. Think, Die Hard-in-a-[soccer]-stadium. It feels like an old '80s, early '90s action film - and intentionally. We wanted it to be stylistically that way and have that type of feel to it. It's not the exact same premise [as Die Hard], but it is very similar. Ex-soldier Michael Knox (Bautista) must use all his military skills to save the 35,000 capacity crowd at a major sporting event, one of which is his niece, when the stadium is suddenly seized by a group of heavily armed terrorists demanding ransom. Ex-fireman Darren McCord (Jean-Claude Van Damme) has a new job working security at the Pittsburgh Civic Arena. Hoping to impress his kids, he's scored tickets to the Stanley Cup Finals, unaware that the place has been taken over by a group of terrorists. Ex-CIA agent Joshua Foss (Powers Boothe) is holding the vice president hostage in a press box and plans to blow up the building if he doesn't pay the ransom. But, when Darren learns of his scheme (they also kidnap his daughter), he jumps into action to save the day. Hey, Universal I think you have a good case of plagiarism on your hands just like John Carpenter had when he sued, and won, over the 2012 movie Lockout.